As the Rider administration continues to ask for faculty concessions and weighs the possibility of selling the Princeton campus, the American Association of University Professors (AAUP) will vote on a motion of no-confidence against President Gregory Dell’Omo and the administration on March 7. Some faculty members see worth in exploring this option, an option which may contribute to the long-term financial health of the university. “If opportunities then arise from the sale of Westminster to position the institution for the future, I’m convinced that this is the guy who will actually do it,” said James Riggs, professor of science. Riggs also credits Dell’Omo for his transparency throughout this process. The board has been meeting to evaluate the study and expects to make a decision in a few weeks, Brown said. 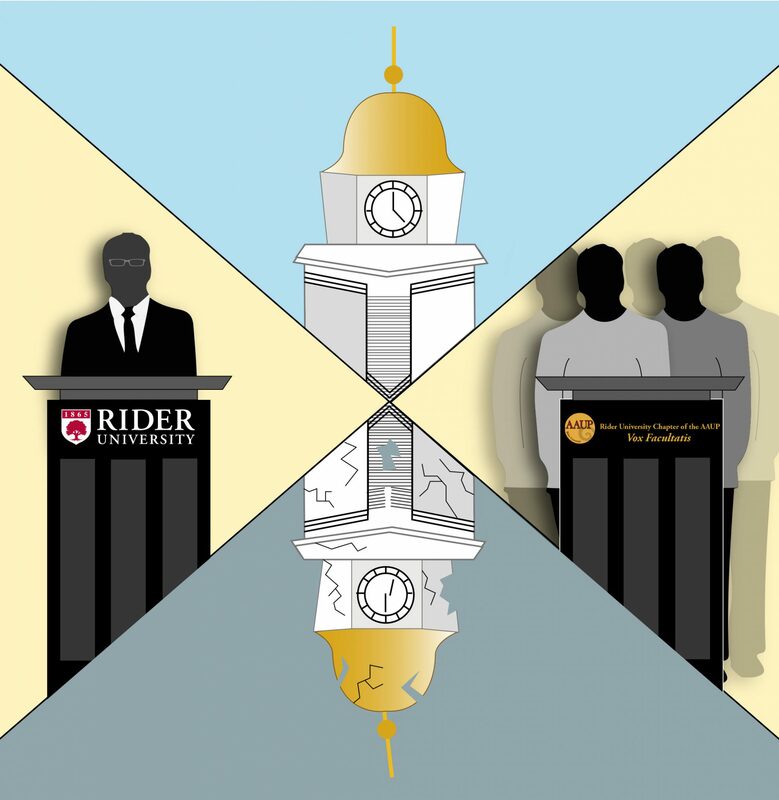 “Our goal has remained the same: explore all avenues and options to ensure a sustainable future for Rider University as a whole,” Brown said. The hope for a sustainable future, however, may dwindle if the campuses merge, according to Faracco. “There would certainly be an enrollment decline which would affect the choirs and perhaps the orchestral associations which are such a crucial part of the Westminster experience and sets the school apart from other colleges and universities,” he said. Gerald Metz, a 1970 graduate of WCC, pointed out at a Feb. 7 town forum that the eight WCC choirs need ample space to rehearse, space that he said isn’t available on the Lawrenceville campus. While the board continues to meet and discuss the plan, members of the Rider community wait for a decision set to be announced this spring. “We appreciate the thoughtful input and recommendations put forward thus far and look forward to sharing more information from the board at the appropriate time,” Brown said.